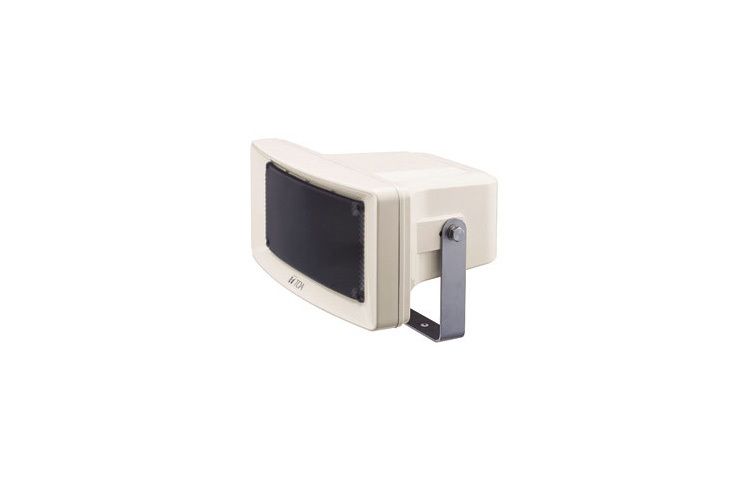 TOA CS Series Wide-Range Paging Speakers are ideal for indoor and outdoor commercial sound system applications for voice paging, background music and tone signaling distribution. TOA CS Series Wide-Range Paging Speakers are ideal for indoor and outdoor commercial sound system applications for voice paging, background music and tone signaling distribution. Compared to traditional metal paging horns, CS Series speakers offer wider frequency range and superior sound quality. CS Series models include the CS-64/U (6 W, UL-1480 Listed), CS-64 (6 W), CS-154/U (15 W, UL-1480 Listed), CS-154 (15 W), CS-304/U (30 W, UL-1480 Listed), and CS-304 (30 W). Each includes a built-in 70.7V/100 V transformer with screwdriver-adjustable power taps. All CS models are fully weather-resistant to withstand demanding environmental conditions with a sealed enclosure, full-range moisture-resistant cone speaker, stainless-steel mounting hardware and a protective mesh grille. The enclosure is also coated with polyurethane resin paint to resist the fading effects of prolonged exposure to ultraviolet light. The CS Series Wide-Range Paging Speakers are backed with a five year warranty. Also see the new SC Series Paging Horn Speakers. * Note: For outdoor installation, it is recommended that they are installed under roofs, eaves, or in other locations not directly exposed to rain or snow. Wide-Range Paging Speakers for voice paging, background music and tone signaling distribution. Weather-Resistant to withstand demanding environmental conditions. High Sensitivity: up to 98 dB (1 W/1 m). Built-In 70.7 V/100 V Transformer with screwdriver-adjustable power taps. Lightweight, Sealed Enclosure prevents moisture damage. Polyurethane Resin Paint resists the fading effects of ultraviolet light. IEC IP-64 Standards Compliant for dust and moisture-resistance. Wide Temperature Range: -4° F to 131° F.
Stainless-Steel Mounting Bracket for easy installation and aiming in wall, pole or ceiling-mount applications. Protective Stainless-Steel Mesh Grille prevents speaker damage.